You've heard it a million times...and now you're going to hear it one more time. "They Don't Make'em Like They Used To!" 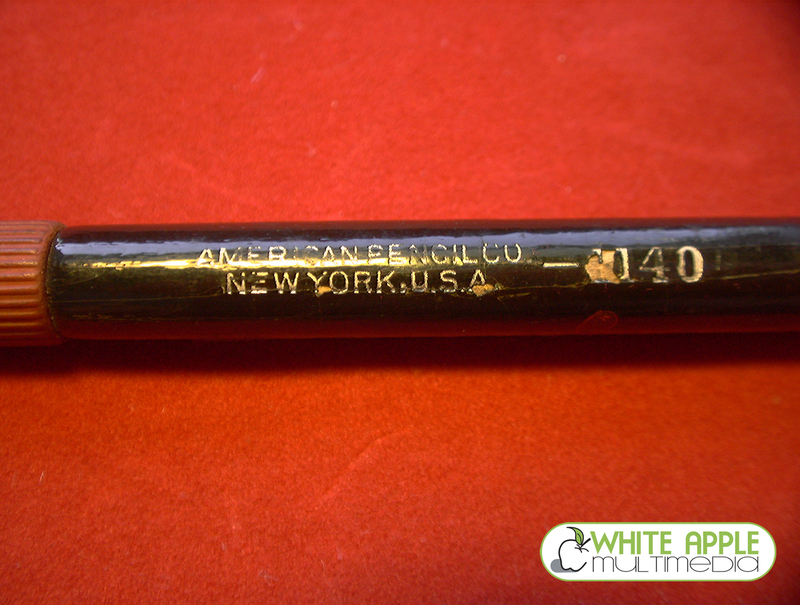 This is so true about drafting & Drawing tools from the past 40 to 100+ years ago! The quality of construction, the ease of use, the seemingly effortlessness in creating beautiful work with less stress. The companies cared about quality and it shows. 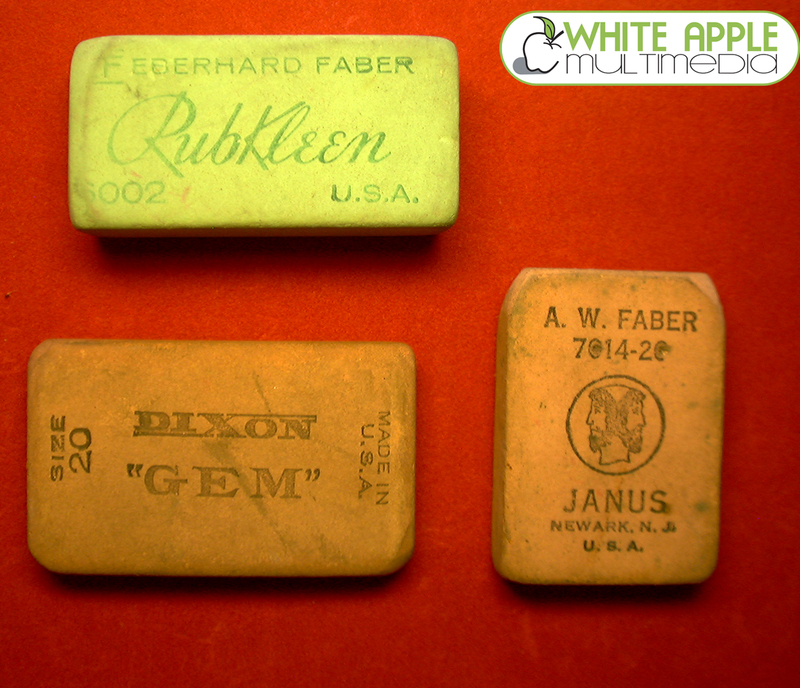 To your left is a picture of some erasers from decades ago. One might recognize "Janus" from 'Janus Films'. Seems they did more than just distribute old films! 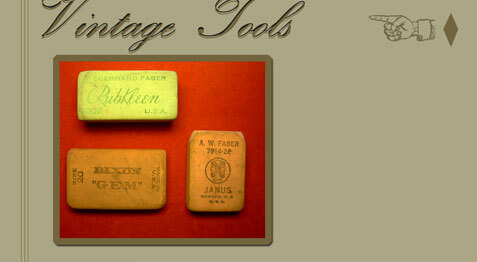 What you'll see below is my personal collection of vintage tools and supplies. We'll start things off with my vintage Scriptos! Scripto has been around for numerous decades. Further evidence of that sits before you now. 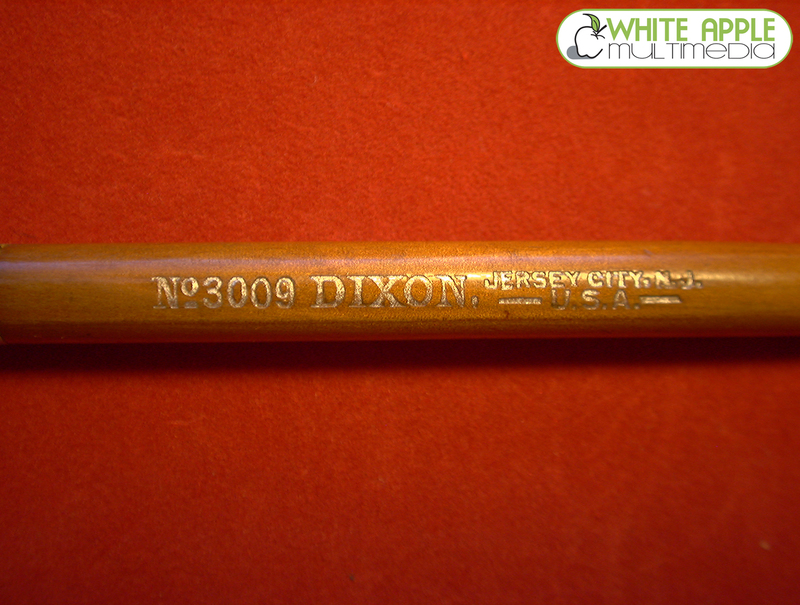 Back in the mid to late 80's they had gained popularity with thier bright transparent-color mechanical pencils. 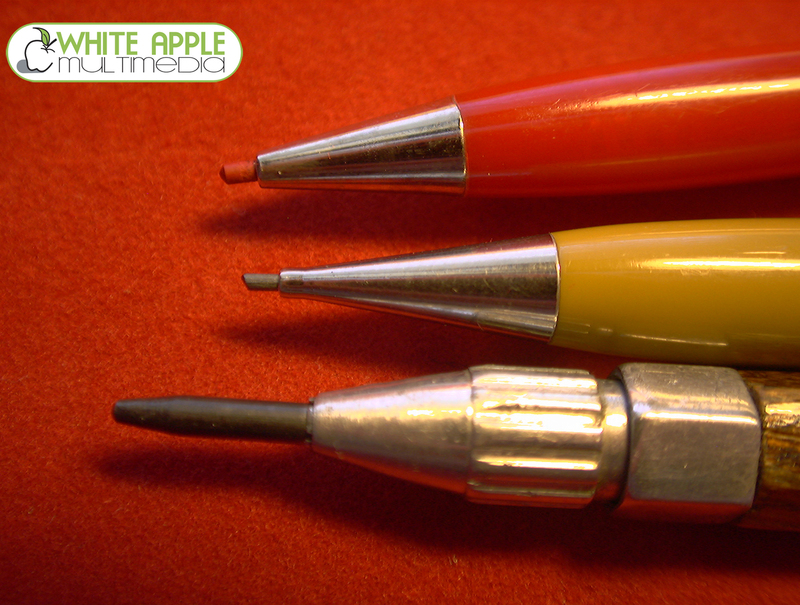 The Red and Yellow pencil to your left are much older than the ones from the 80's. They use a clock wise twisting motion to eject out a solid long lead. 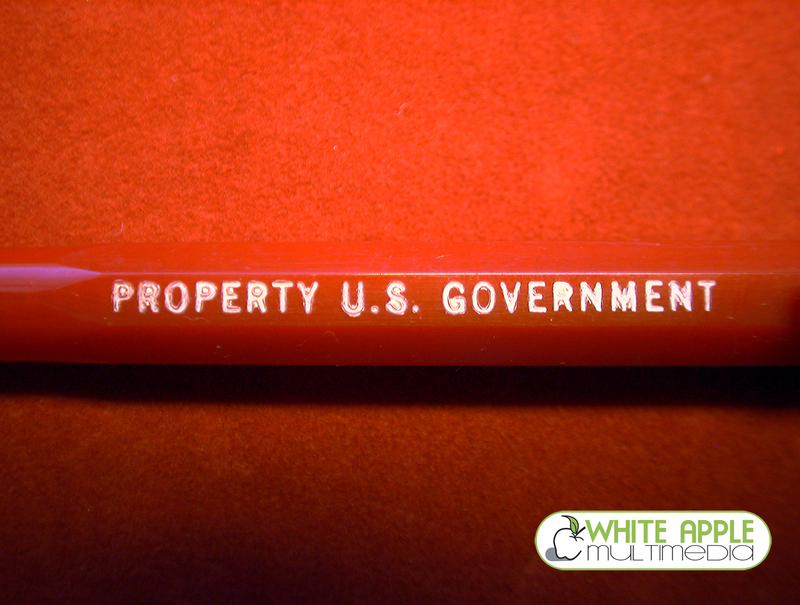 The one that states "Property US Government" came with red pencil lead. Probably to mark things 'top secret' ^__^. The other I cannot trace as to its model or year. 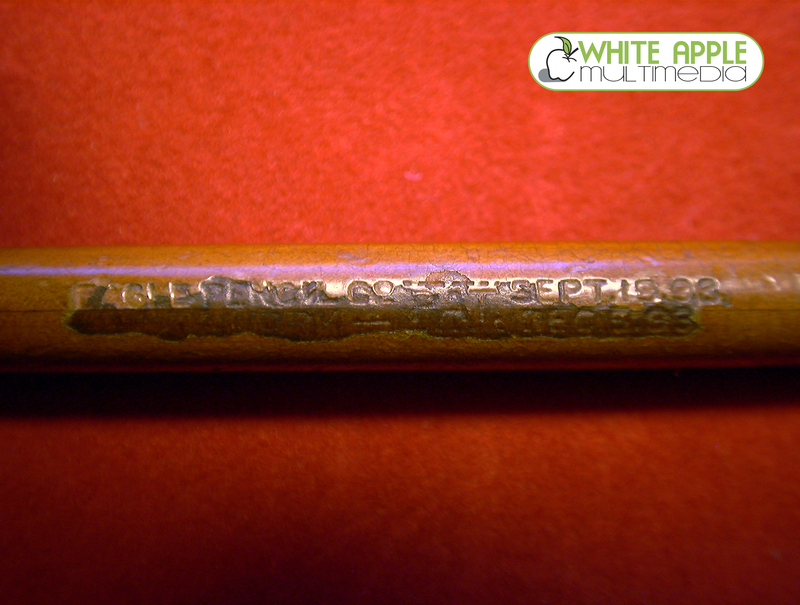 The wooden pencil is actually a 'Technagraph' or 'Lead-Holder.' I inheritted this from my late Grandfather. Its very light-weight, yet durable and comfortable. It also has a very elegant feel to it. It is my favorite drawing instrument and I use it frequently with my illustrations. 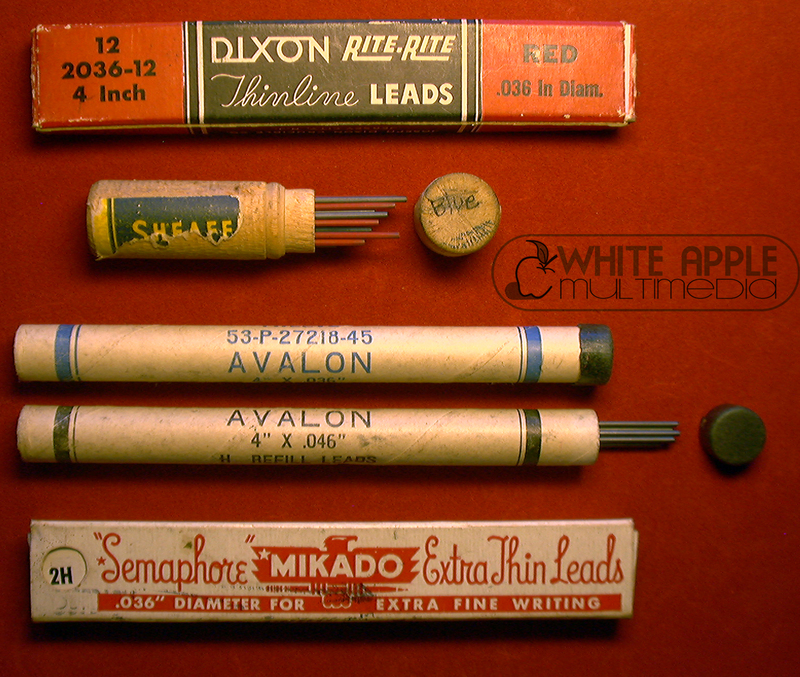 What good are your pencils if your leads aren't any good? Well, that brings us to the pictures to the right. These are various leads and lead-types from various manufacturers. The quality of lines they produce are unequaled by todays filth that you can buy. Today's production has become a race to see who can make a product with the cheapest materials and charge the most margin. Quality got lost within that race. Thankfully, we can find that quality again, if we look in the right places. Finally on our journey are my personal arsenal of Pen-staffs or Nib Holders. There are some from the late 1890's to perhaps the early 1970's. 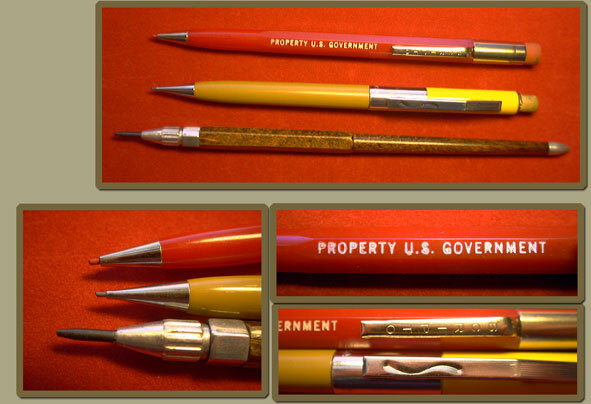 You might see some familiar names like "Eagle Pencil Co" and "Farber / Mongol". 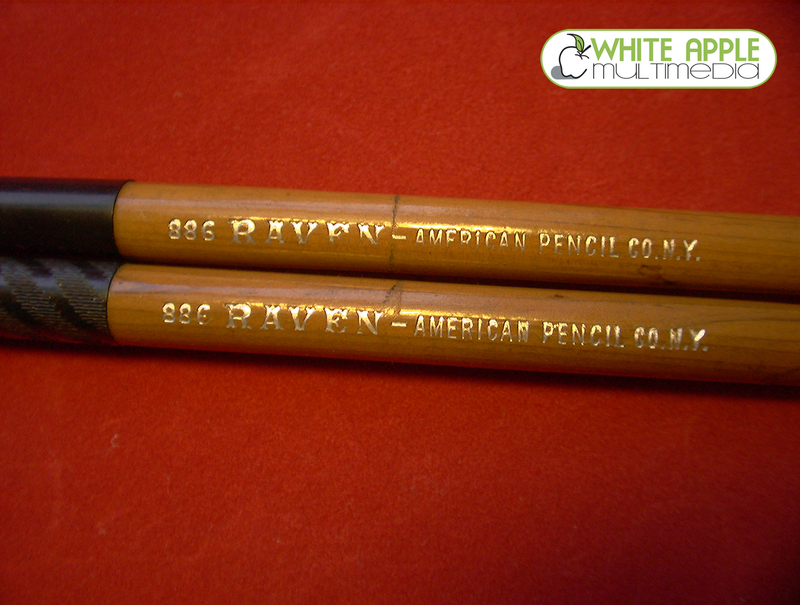 We all used the Eagle #2 pencils to take tests, and Farber joined with Castell to make Farber Castell. One of the few companies left that at least try to make a decent product. 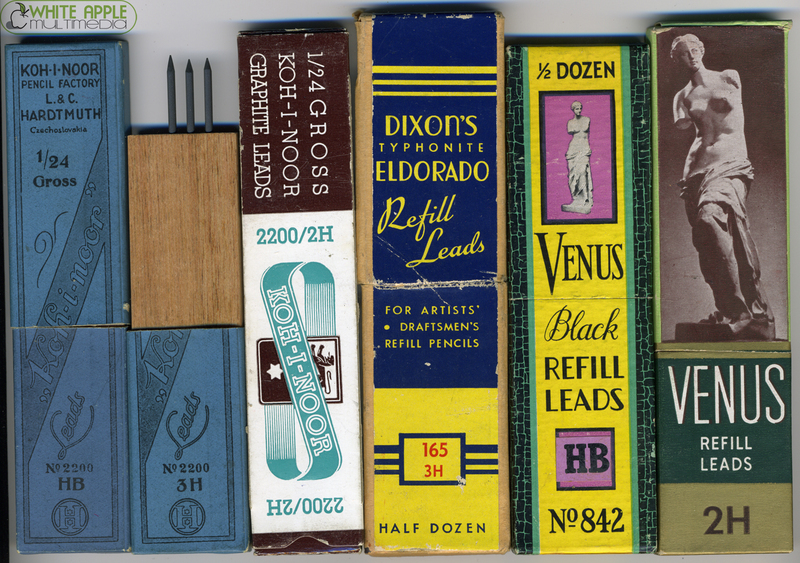 What I like the most are the different mechanisms that were invented to hold the nibs into place. Many of them are straight forward, but some have unique and uncommon methods. 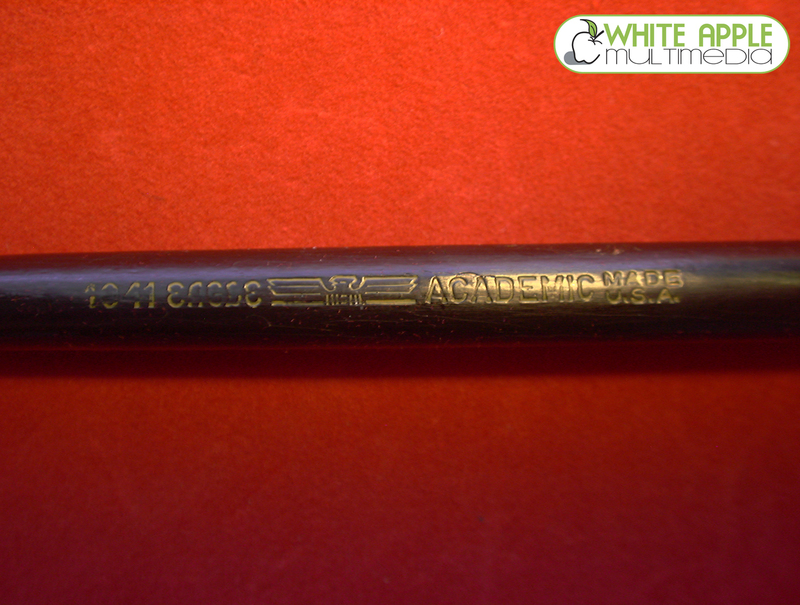 For example the oldest pencil, an Eagle Pencil Co uses a hardened rubber sheath that you slide over the nib to hold it in place. 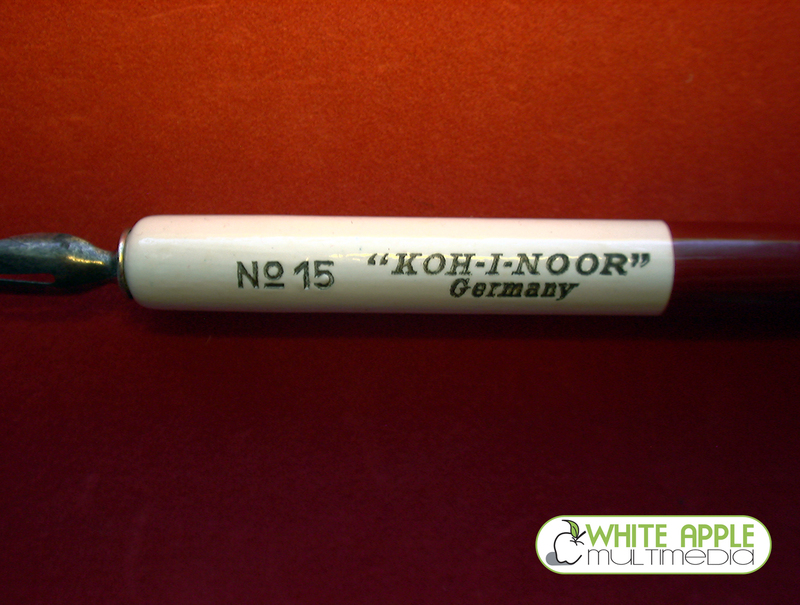 While I also have a Koh-I-Noor holder that uses a lever that slides in and out of the wooden handle tha pushes up on the nib from the inside. 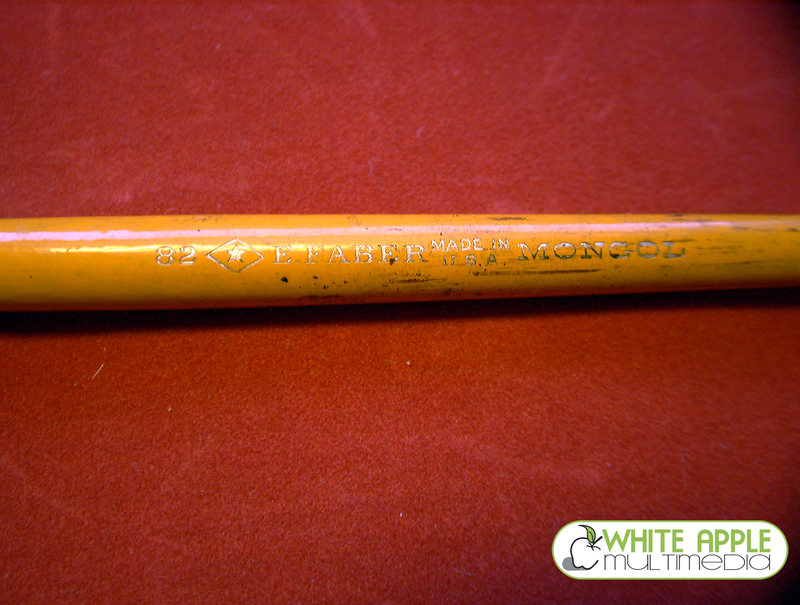 Speaking of Koh-I-Noor, the multicolored handles are my absolute favorite. Clearly designed for the professional, they have the perfect fit and weight. Using them really brings out further magic from the contruct of the nib itself. It allows you to generate picture-perfect strokes with hardly any effort. I also enjoy the color-coded factor. 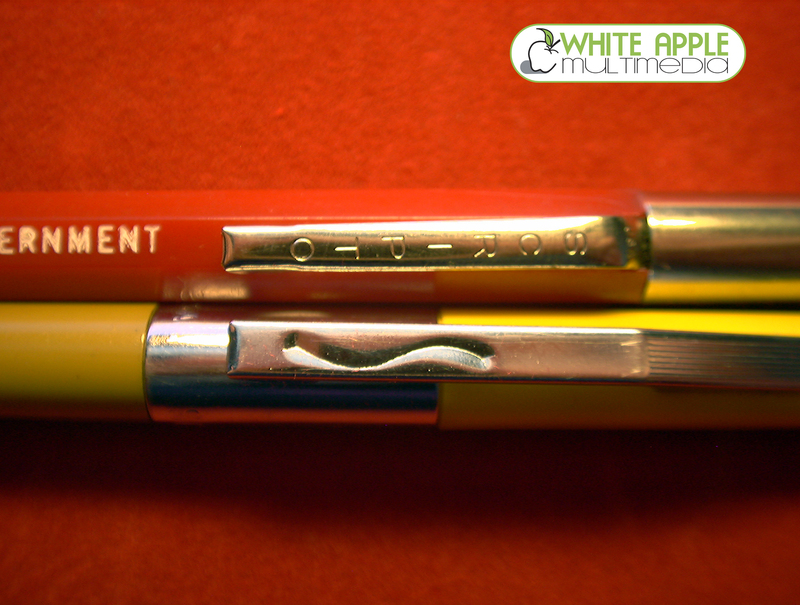 Its a design concept they use even today with thier famous Rapidiograph pens. 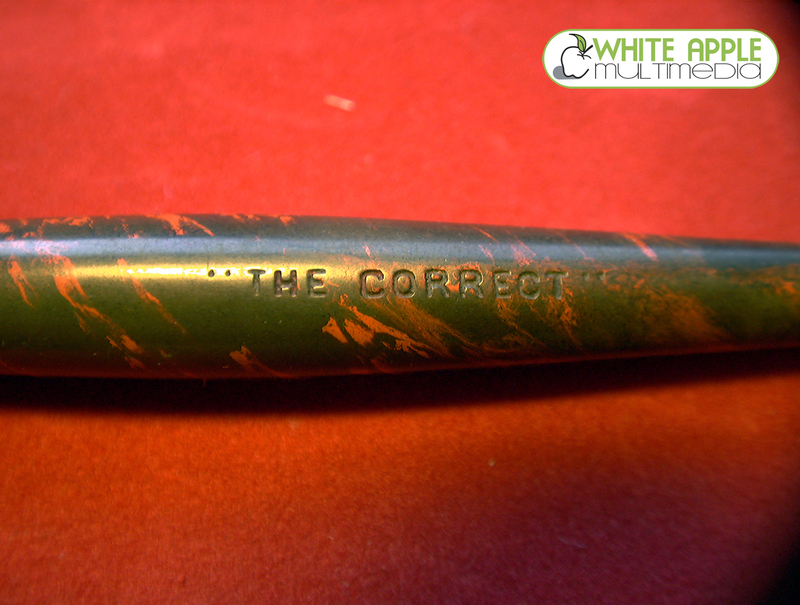 You can denote a specific color to a specific type of nib. That way I can easily tell what nib I want without having to waste time digging around looking for the one I want. So my cheif nibs are being used in the Koh-I-Noors. 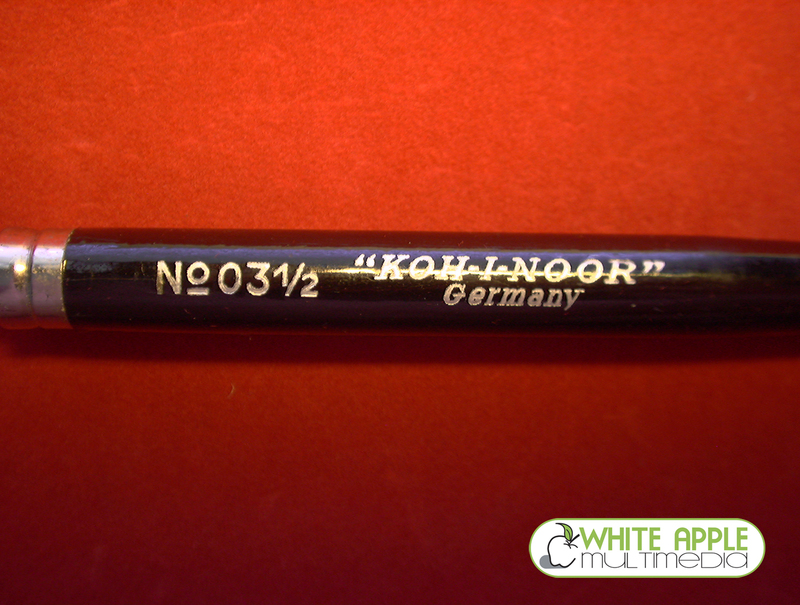 If you are serious about using dip pens, I highly reccomend seeking out the Koh-I-Noors. They have the best practical useage than any other holder I have used. *Note, you can click on the images to your right to see the name of each handle more clearly.